Based in Estonia, P2PB2B is a multi cryptocurrency exchange platform. It provides users with the ability to trade (buy/sell) cryptocurrencies on the platform. 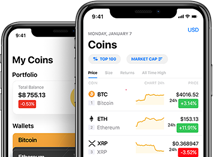 The Exchange main currencies supported are BTC, ETH, and USD, the trading fees are free of cost and it has a free listing of any business app’s API. More than 95% of all currency are stored on cold wallets.